Hey Style Lovers, happy Monday! 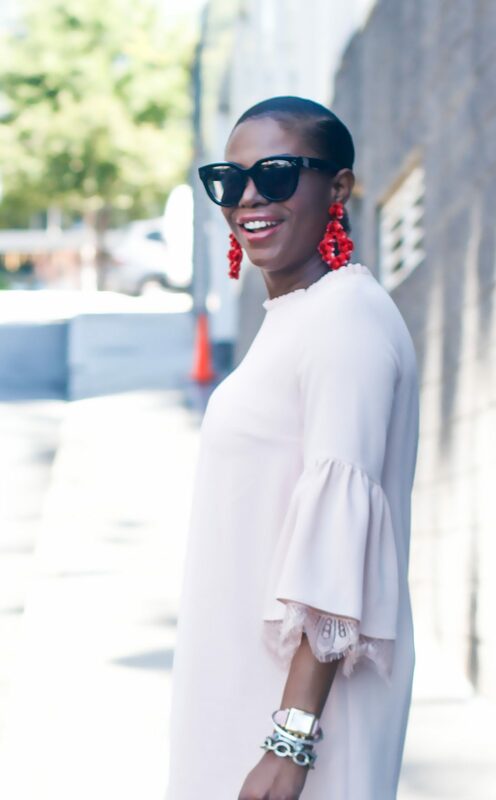 Today’s post is all about rocking the bell-sleeve trend. Before we get into that, I want to know how was your weekend? I hope you all enjoyed your Saturday, Sunday, and had the opportunity to take a break. This weekend was pretty awesome, and I really wish I could do it again. My weekend festivities started with dinner with one of my blogger buddies. Dinner was great as we got to plan our trip to NYFW (see looks from last years trip to NYFW HERE). The next day, I took the kids on a playdate. Its great having friends that are bloggers, and have kids that are close in age. While the kids played we talked about, blogging, fashion, school and more blogging! A working playdate is always a good idea in my books! Starting the new week in this gorgeous dress from Ziza boutique. 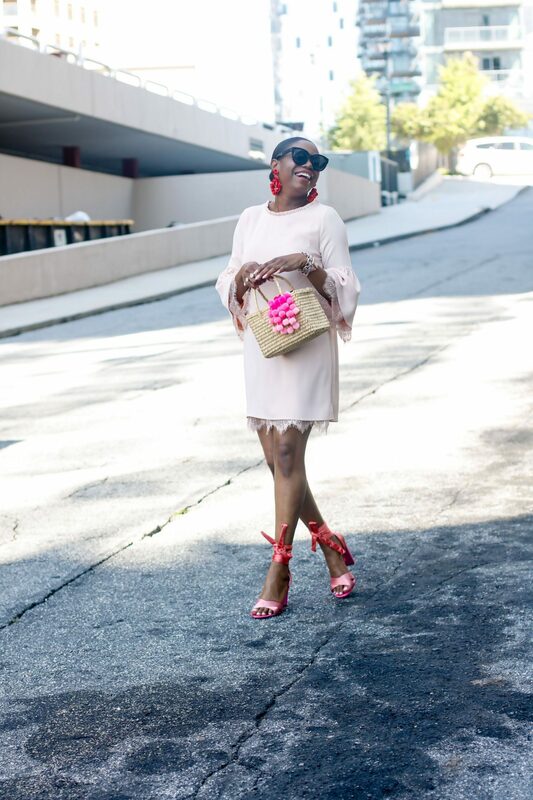 Ziza boutique which is an online boutique that houses tons of amazing fashions you can wear now and into the fall. The brand will open the doors of it’s new boutique on August 22nd. The store will be located in Oakville Ontario (outside of Toronto Canada) , so if you live in the GTA make sure you check it out (store info HERE). 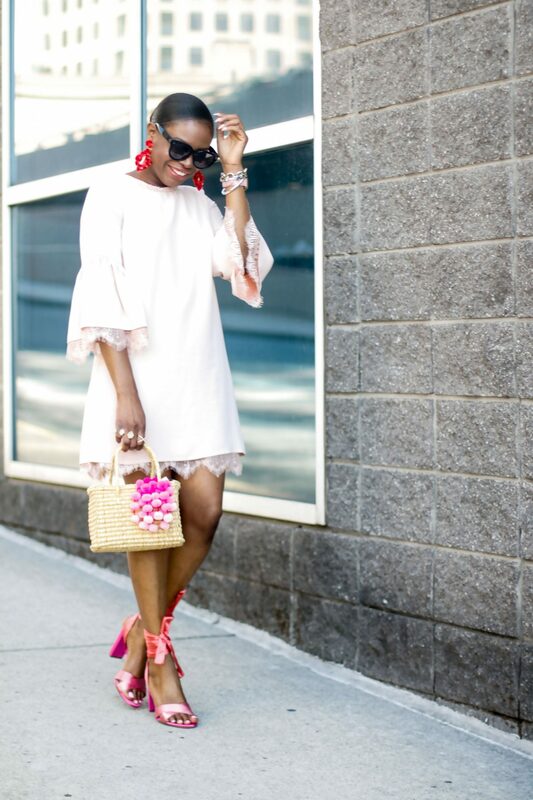 Because red does an amazing job of complimenting pink, pairing the two colors was a no brainer. When two colors are in the same color scheme it is always easy to pair them. 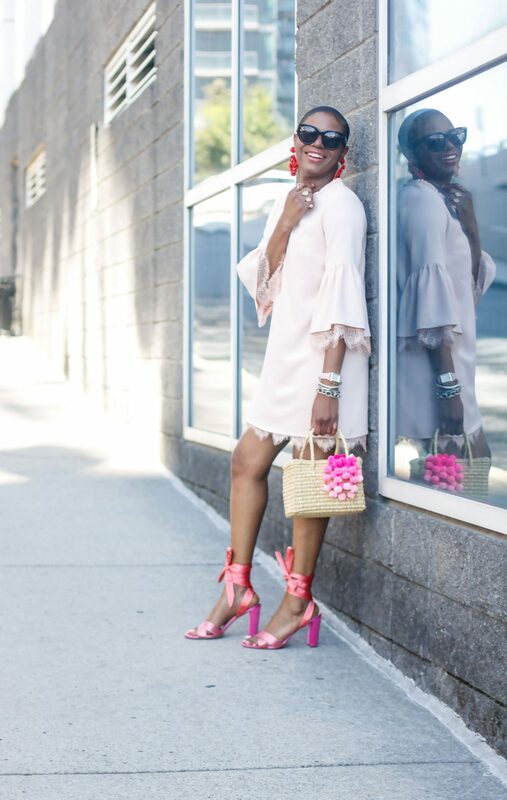 Pink shoes and a pink detailed bag all compliment the dress without over powering the dress. 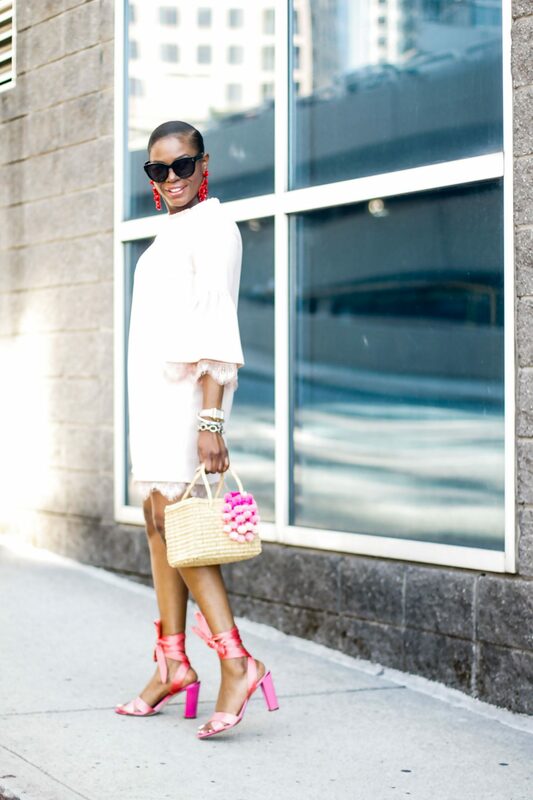 This also creates a monochromatic look, which also adds a chic appeal to the outfit. 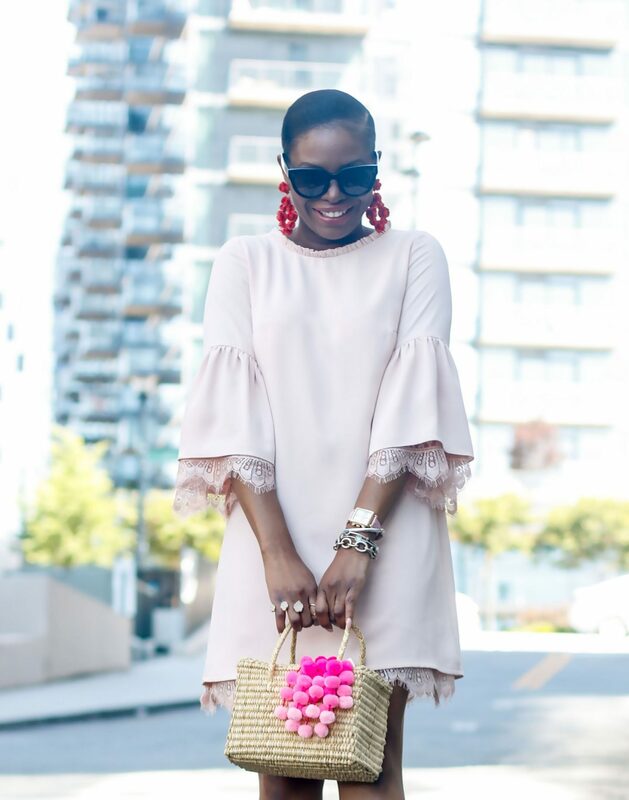 I hope you all love this outfit as much as I do, and check out Ziza boutique for a fabulous selection of dress for now and the fall. Get the complete look by clicking on the suggested shopping links. Have an amazing Monday and week lovelies.